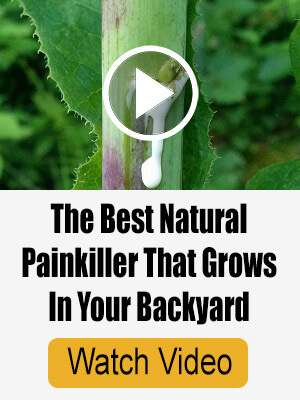 Your backyard is a growing pharmacy; you just have to know where to look. The common weeds on your property contain fantastic healing and medicinal properties. With these weeds, you can create infused oils for homemade salves and ointments, or dry the herbs for herbal baths or herbal teas. Before you consider using backyard weeds for medicinal purposes, make sure you only source them from properties without the use of chemical pesticides. It’s best to use plants that have never been sprayed to avoid any toxicity that could harm you or others. Surprisingly, a majority of the weeds that you might find on your property have medicinal purposes. However, it is essential that you feel confident when you identify the weed. There are look-alike weeds that you want to avoid. 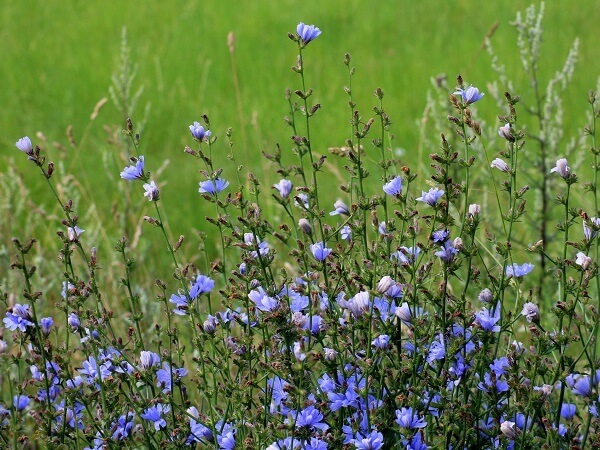 Chicory is a light blue flower that you might see along roadways. The stalks grow up to 5 feet tall. Chicory has been used for thousands of years as an herbal remedy. The milky sap promotes milk flow in nursing mothers, but it also can diminish milk supply if used too much. The blossoms were used to treat inflamed eyes, and bruised leaves act as a poultice on swollen joints and injuries. You can use the root extracts as a laxative, or use the roots to treat fevers and jaundice. 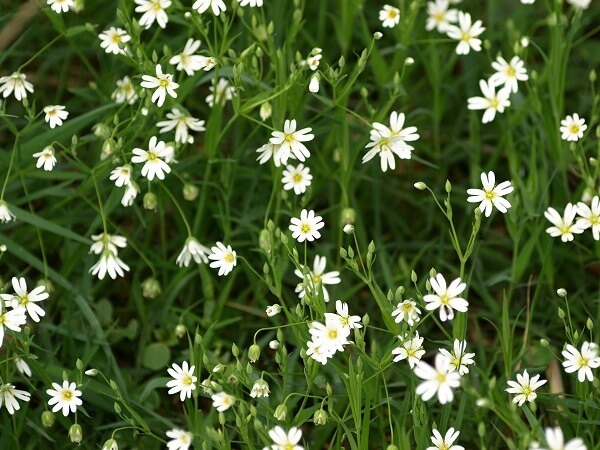 Chickweed is another ground cover that you can typically find year-round, sometimes even under snow. The entire plant is edible, but some parts are more robust, usually below the top two inches of the plants. Harvest the tips of the leafy stems, buds, and flowers. With all of these fantastic benefits, you can bet that chickweed has multiple medicinal purposes. It has anti-inflammatory and laxative properties, and it acts as an antihistamine for sinus congestion and bronchitis. One way to reap the benefits is to make an herbal tea from the leaves and stems. Drinking chickweed tea helps to remove plaque from your arteries, heal ulcers, and dissolve cysts. You can also add the leaves and flowers into salads. Everyone knows the little purple flowers that dot your yard throughout early springtime. Wild violets also come in other colors like yellow, blue, and white. You can consume the flowers, leaves, and stems. Some people like to eat the greens and herbs raw or sauteed. 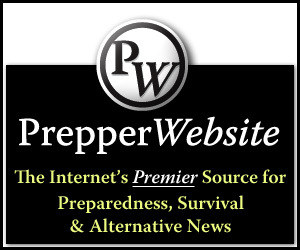 I recommend adding them to your fresh garden salads. This plant contains high levels of vitamin C, and it is commonly used to treat inflammation, cough, and sore throat. 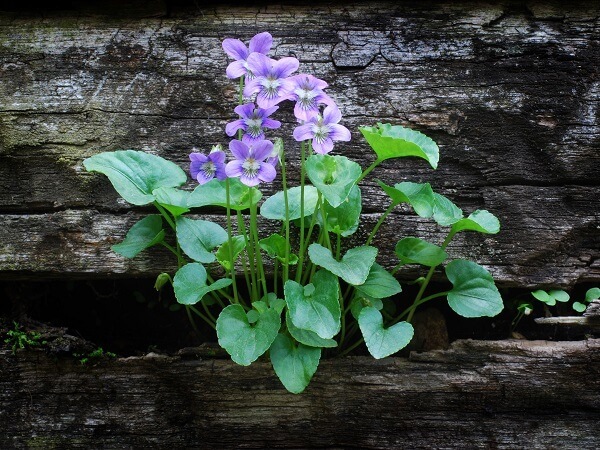 You can make a cough syrup with the violets for those pesky, common colds that leave you feeling icky. 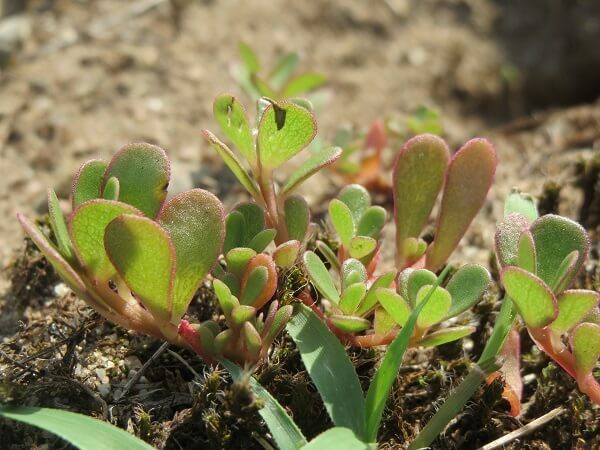 Purslane is a standard ground cover weed that loves direct sunlight. The stems and leaves are edible. While Americans view purslane as a weed, many countries use it as an additive to salads because of its delicate, lemony flavor. This weed has high levels of vitamin C, and omega 3 fatty acids. You can use purslane to treat a variety of ailments such as body aches and illnesses. A purslane topical treatment relieves headaches, fevers, and inflammation. Another exciting way to use purslane is by extracting juice from the plant as a remedy for a dry cough. Purslane tea cures toothaches as well. It is a handy herb to have available. Dandelions are a common weed that people try to eliminate from their yard every spring. 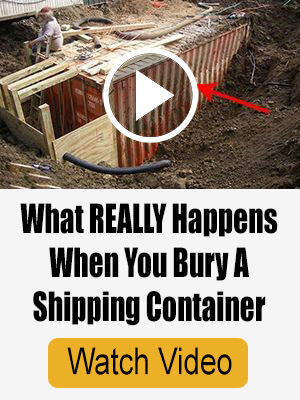 Unfortunately, these people are trying to kill a plant with dozens of known benefits. Dandelion greens make a fantastic addition to salads, or you can grind up the roots to make dandelion coffee, dandelion soap, and many other things. This weed has several medicinal purposes that are helpful. For example, dandelions can help aid in digestion by reducing constipation or diarrhea. 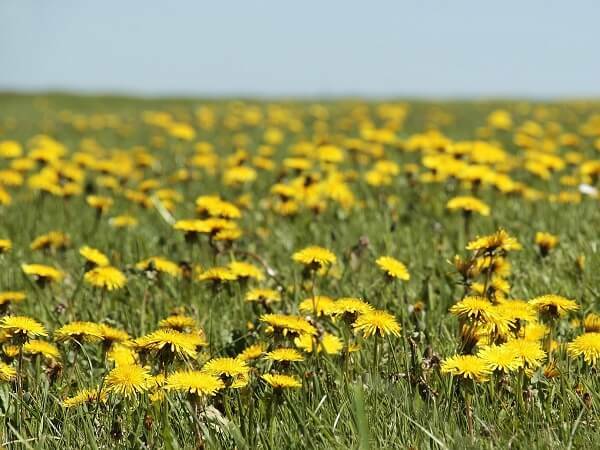 Children can safely take dandelions when battling constipation issues. Dandelion sap treats skin diseases such as microbial and fungal infections. The sap is highly alkaline, containing germicidal, insecticidal, and fungicidal properties. You can use it to treat bug bites, itching, ringworm, eczema, and bruises. Plantain is a useful herb that many people consider a weed. It grows natively in Europe and Asia, but settlers brought it to North America. The leaves make tea and tinctures that aid with indigestion, heartburn, and ulcers when taking internally. When used externally, plantain treats insect and snake bites, but remember to seek medical attention if bitten by a snake. Spread a plantain ointment over cuts and bruises. This weed has natural antibacterial and anti-inflammatory properties to help wounds heal faster. You can even make a tea and spray it on mosquito bites. Yarrow is a tall plant that produces bouquets of tiny white or yellow flowers. It commonly grows near pastures or roadsides. You might know Yarrow by its nicknames – Staunchweed and Bloodwort. 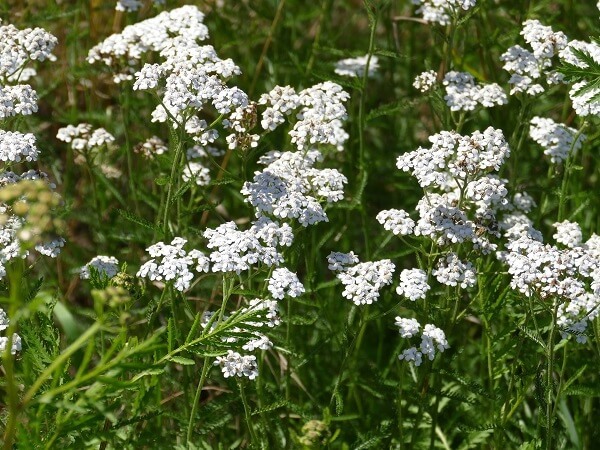 The nicknames indicate the most critical ability yarrow possesses – slowing down bleeding. Yarrow has been used in herbal medicine for centuries for more than just wound care. It can help increase your appetite, ease digestive problems, and fight off colds and the flu. Use the fresh leaves as a compress with warm water or chew them up to apply to wounds. Make a yarrow tea with dried leaves and boiling water to reduce fevers and clear sinuses during congestion. Herbal infused oils have many uses such as making salves, creams, and soap. There are two ways to make infused oils – the slow way or the fast way. While some people have great success using fresh herbs in their infused oil, it increases the risk of spoilage and decreases the shelf life. That’s why most herbalists use dried herbs and flowers. A bottle of olive oil or whatever oil you want to use as the base for your infused oil. Put the dried herbs or flowers into your glass, pint jar. Pour in the olive oil and fill the jar until it’s almost full. Make sure there is some space at the top for expansion. 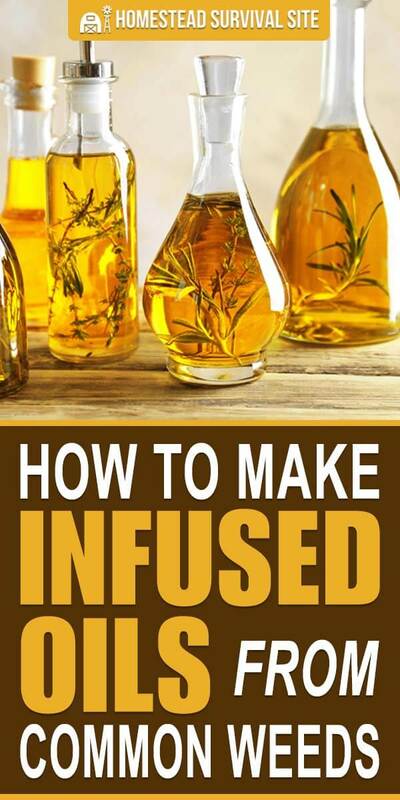 Now you can decide which method you want to use to make the infused oil. If you aren’t feeling patient and want to get your infused oil ready yesterday, then the fast method is best for you. Make sure you selected a heatproof container for the oil, such as a glass canning jar. Put the jar of herbs and oil into a medium saucepan that has several inches of water inside. Set the saucepan onto a stove burner over low heat. Let the water heat up and bring to a low simmer. 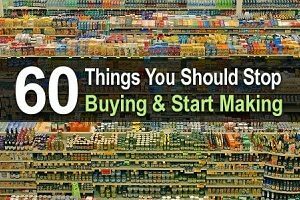 You don’t want to boil the water or the oil. Instead, your goal is to create a makeshift double boiler that gently warms the oil and speeds up the infusion process. Watch the water to ensure it doesn’t evaporate, and make sure the oil doesn’t overheat. Overheated oil has an unpleasant scent. Remove the jars from the heat after two hours. Strain out the herbs and place the infused oil into a new, clean jar. Store in a cool, dark place for up to one year. The second method takes patience, but it is quite easy. Use the slow way continually so you always have infused oils brewing. Take your jars of herbs and oil and place them in a cool, dark place for four weeks. Some people prefer to infuse their oils on a sunny windowsill instead of a dark area. Just pay attention because extended exposure to sunlight can cause your herbs to discolor. If you want, leave them in the window for two weeks, then place them in a dark area. Shake every few days, or as often as you remember to do so. After the four weeks pass, strain the herbs or flowers out of the oil. Place the oil into a dry, clean jar. Don’t let those common weeds in your yard go to waste. Our ancestors understood their medicinal properties, and we should learn how to use them as well. These weeds grow plentiful in most regions, and creating infused oils from the weeds gives us a simple method to tap into the medicinal benefits. Remember to let your herbs dry first before creating an infused oil, even if it’s only overnight. Pick the method which is most convenient for you, them use the oils to create a variety of salves and ointments to store in your medicine cabinet.